Lakeland Paternity Action Attorney - Lawyer, Providing Professional Paternity Action, Divorce and Family Law Attorney legal services for Lakeland, Winter Haven, Bartow, Polk County, and the surrounding Central Florida area. 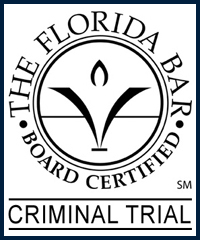 Call 863.660.2185 to Speak with Lakeland Paternity Action Attorney / Lawyer, Joshua E. Schoen. Paternity actions involve a scientific method used to determine who a minor child's paternal (biological) father is. Grandparents or other blood relatives of the child in the event the assumed biological father has passed away. Medical history of the bloodline of the minor child, including potential health risk the minor child may be subjected to relating to a family medical history. In paternity action requests, the court will hear arguments by both the mother or any male in question. Based upon the arguments presented the court will either rule in favor of a paternity test to be taken or rule that there is not sufficient facts to support a court ordered paternity test. Having said that, in any issue regarding minor children the court will rule in favor for what is in the best interest of the minor child (or children). If the court rules in favor of a paternity test, failure to adhere to the court order is a violation of law and the offender may potentially face criminal charges. The paternity action attorney, lawyer, or law firm you choose to represent you in paternity action matters will ensure your voice is heard in any related hearings. Your attorney will present your argument for or against the paternity action, and if a court order is issued for a paternity test to be conducted, your attorney will follow through to make sure the court order is adhered to. In the case of marriage, the assumed father is by law automatically assumed to legally be the biological father unless known circumstances indicating otherwise are established. Therefore paternity actions may be just as important for both mothers and assumed fathers. Protect your rights by seeking the legal advice and representation of an experienced Lakeland Paternity Action Attorney / Lawyer. Contact Lakeland Paternity Action, Divorce and Family Law Attorney / Lawyer Joshua E. Schoen at 863.660.2185 in the Lakeland, Winter Haven, Bartow, Polk County, and the surrounding Central Florida area.